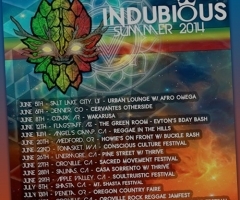 Indubious is a self-described “rootstronica” band from Oregon about to tour with Black Uhuru starting in early February and covering the Westside of the U.S. 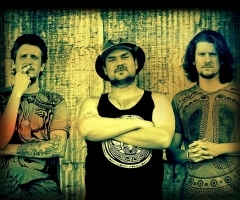 Known for their high-energy music and fun vibes, Indubious self-describes themselves as “intergalactic reggae revolutionaries” on their “About” section via their website. 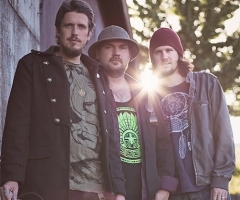 The keyboardist, Evan “Evton B,” and bassist, Spencer “Skip Wicked,” are brothers who have made music together for years, and together, they join with drummer, Matthew T. Wells to produce a unique sound which sets them apart from other current bands. With their “indubians,” a name they have given their fans, Indubious claims to have adopt the motto, “Live Indubiously,” so that they and others can Live without Doubt! Indubious is currently conducting a contest until the 27th of January. Fans and those interested in hearing more of their music can enter to win two tickets via Facebook by clicking here: https://www.facebook.com/events/275308422620904/, joining the event, leaving a comment on the event page which states, “Please enter me” and putting the appropriate tour stop, and inviting all facebook friends to join the event too! 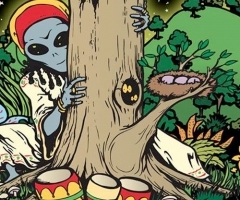 Not bad given the scope of the music, and show with Black Uruhu! For more information on Indubious, be sure to check their website and social media pages.